R-7® Ear Powder helps keep ears dry and reduce odors. Contains Rosin Grip for easier hair removal in the ear canal. For dogs. First clean the ears with ear cleanser. Next, puff R-7® Ear Powder into the ear canal. This will help keep the ears dry and reduce ear odors. Puff R-7 Ear Powder into the ear canal and remove hair with forceps or tweezers. 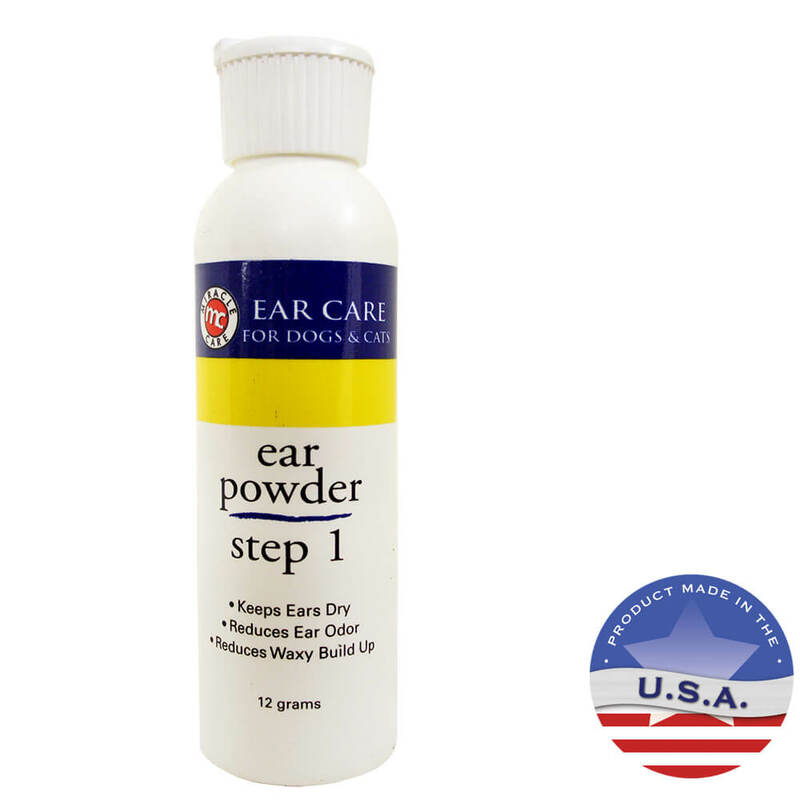 The powder contains Rosin Grip to improve the "grip" and reduce "slip" when removing hair from the ear canal. After the hair is removed, clean the ears with ear cleaner, reapply the R-7 Ear Powder. Contains Zinc oxide, silicon dioxide, methyl salicylate, rosin, bentonite.